Regulations can take years to develop, so why wait when you can self-regulate? That’s the message U.S. Commodity Futures Trading Commission (CFTC) commissioner Brian Quintenz delivered to the audience at the D.C. Blockchain Summit on Wednesday. 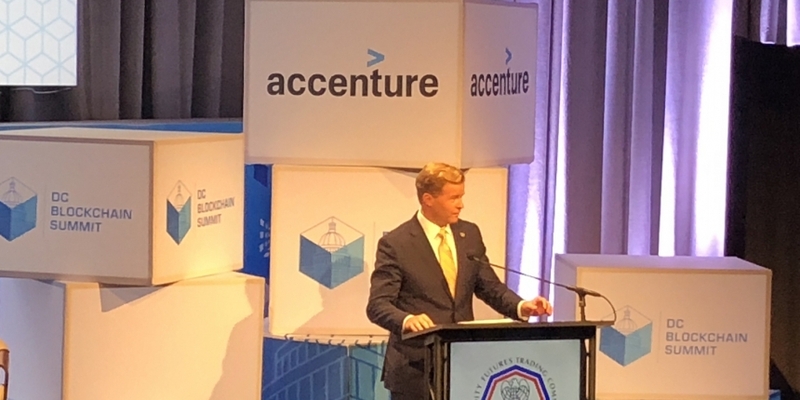 “I believe that a private cryptocurrency oversight body could bridge the gap between the status quo and future government regulatory action,” he told the audience in his keynote address. Quintenz also suggested that a cryptocurrency self-regulatory organization (SRO) could have an impact beyond the U.S. market, and could potentially take on global significance. “I think right now everyone’s trying to figure out where and how their laws apply to this space,” he told CoinDesk in an interview. Numerous jurisdictional questions concerning cryptocurrencies and tokens currently face the industry, with the CFTC, the Securities and Exchange Commission and the Internal Revenue Service taking different stances on how they classify the assets. While Quintenz remarked in the interview that “bitcoin is absolutely, clearly not a security. It is absolutely a commodity,” he also said that the aforementioned agencies and others should avoid reducing the broader space to one type of product. “We can tell them about what we’ve already done and help them navigate the decisions we’ve already made to help inform any new concepts that could better apply to the space so they don’t have to recreate the wheel,” he said. Likewise, he told CoinDesk that the CFTC will continue to work with the SEC in cases where the jurisdiction lines of a given product are unclear, like ICO tokens, for example. Although the CFTC and SEC coordinate on such cases, the commissioner said he was unaware of – and wasn’t able to give any insight into – the rumored SEC subpoena sweep directed at ICO issuers. However, Quintenz stressed that the SEC has a job to do in ensuring that IPO laws are adhered to. “It does not surprise me that people are trying to get around that, and it doesn’t surprise me that the SEC is figuring that out. And I think that that’s going to be an ongoing conversation,” he concluded.